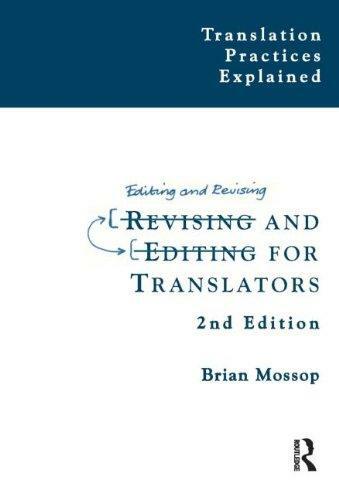 245 1 0 %a Revising and editing for translators / %c Brian Mossop. 260 %a Manchester ; %a Kinderhook : %b St. Jerome Pub., %c copyright 2010. 300 %a [IX], 208 s. ; %c 24 cm. 504 %a Bibliogr. s. -208. Indeks.